Awarded to Instructor Worth O'Brien for outstanding customer service and professionalism in PADI scuba instruction as acknowledged! Thank you so much for the superb teaching. Your evaluations were excellent and certainly reflected the great care you took to do a fabulous job. Your volunteer spirit is what the American Red Cross is all about. Thank you! Thanks for all your help and guidence. You have been nothing but a good friend and role model for me. My grandfather once said, "Marines are Semper Fidelis"! Well, Instructor Sergeant O'Brien, you truly live up to the motto of "Always Faithful" by not only looking out for your fellow Marines but also the future of the "Corps", the future Marines! Been thinking about how fortunate I am to have met you. 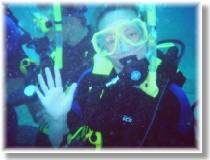 You are such a great person, and I am proud to call you my Dive Instructor and friend! Thanks again for your continued support of my goals and the passion you put into your work when you assist me. 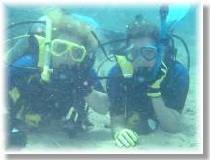 Looking forward to scuba diving in Florida again... soon! I would like to let you know about our wonderful instructor, Worth O’Brien. We could not have picked a better instructor! He is very organized, personable, and knowledgeable. Our classes were very enjoyable. He even cooked us dinner! On our first dive day our class shared a boat with another class and we were instantly thankful we were not in there class! Instructor O’Brien made sure that before the boat set out that our class had all of our gear (which he provided all of even the wet suits; and the gear was all the same with black and florissant yellow so we clearly knew our groups stuff from others) stowed away, and tanks and weight belts secured. During the “No Wake” zone Worth took that time to inform us of our dive plan, had us all use the dive tables, and told us of how the day would play out. He quizzed us on safety and gave us reminders. And 15 minutes into the trip Worth instructed everyone to get in our suits and get strapped into our tanks, which we all promptly did while the other class did nothing. A few minutes the boat was stopped and a tag line set, and our whole class was seated, geared up and ready to go! The other class was just starting to gear up with stuff all over the place. They looked so confused! …Missing equipment, dropping weight belts, etc. Worth gave us all a little crash course in boat edict! Once in the water we all got hold of the tag line in which Instructor O’Brien was all the way a “Safety 1st Man”. He personally descended with each one of us one-by-one. Once down we breezed through our skills then went on a short scenic tour. Worth was great about checking on each student every few minutes! As our dive time was up and we swam back to the tag line we swam over the other class still kneeling working on skills. Our class was so glad we had Worth O’Brien as our instructor! I highly recommend Instructor Worth O’Brien to everybody! I hope he will receive recognition or a reward which he deserves. Diving is clearly not just a hobby or means of income for Worth O’Brien. It is his passion and life! 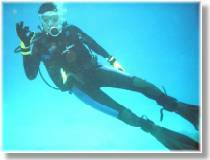 Worth takes diving and his classes very seriously, and takes great pride in producing courteous and cautious divers. Thank you so much for having him as an instructor! SCUBA DOOBA! Amanda Gates & Dannie Hampton Jr.
Master Instructor Worth O’Brien, hands down, is a definite forerunner in providing a quality and safe diving experience. His multi-faceted talents and innovation in-and out of the classroom provides a truly exhilarating and moving experience. Worth’s personal goal is to provide a safe and secure aquatic experience, while building and maintaining trust, even after the dive. 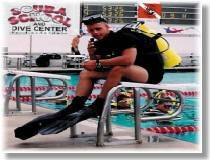 His personalized customer service is top-notch and because of his flexibility and diversity in training, you are always prepared for another dive, another challenge. The art of diving relies on style, expertise, as well as compassion and from these attributes come the formulation of well-trained divers. This describes the scuba experience you will have with AQUANAUTS. Worth’s clear dedication to the present and future state of diving leaves you, the student, with the advantage of professional instruction and a dive network accessible only through Instructor O’Brien. It’s kind of like upgrading without having to pull out your wallet. My personal experience with Worth has given me motivation to become a dive professional and a positive attitude towards the future of diving. My competence has put me ahead as a Divemaster, all of which I owe to his mentorship. 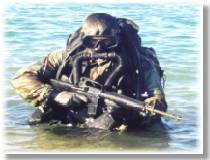 I just wanted to thank the Young Marines for hosting the first scuba school. My daughter, Shira Gregory, not only enjoyed herself, but learned that she was capalable of accomplishments which extended her past her normal emotional and physical boundaries. She loves a challenge and you did a wonderful job giving her one. Just being from Colorado and earning the scuba ribbon is a biggie. From the initial PFT qualification, we knew it wasn't going to be easy. It gave her a huge sense of pride, which more kids need in this world. She returned form the trip with strong bonds of friendship. Being able to pend time with people from different lifestyles and cultures only helps kids grow and come to the realization that we are not really all that different. The leadership that is displayed gives them a tool to draw on when they are in a position of authority. You gave those first three youn ladies [in the scuba school] the opportunity to prove that they are as tough mentally and physically as their male peers. This is my daughter's third trip sponsored by National Headquarters. Each one seems to challenge Young Marines more. I hope that this trend continues well into the future. I can't wait to see what is in store for Young Marines in the year 2000! Once again, thank you. "Proud Parent of a Colorado Young Marine"
As the parents of a female Young Marine, we were excited to hear of the opportunity being offered, to those who met the qualifications, for scuba diving school to be held in Florida. Our daughter applied and was one of three female Young Marines accepted. 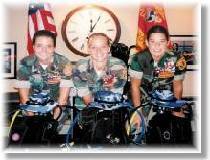 This course was exclusively for the female Young Marines. I can't express our appreciation enough for the efforts of everyone who helped in getting this course put together. When our daughter arrived in Florida, she was met by her instructor, Worth O'Brien, and the adult staff member for females. From the moment she stepped off the plane, she was greeted by caring staff. The 10 days of training that followed were, in our daughter's words, "The best time in my entire life." Our daughter worked very hard at this school, but the instructor rewarded her with encouragement and praise. Upon completion of the course, our daughter (Nicole Fawcett, Tustin Young Marines) was certified as a scuba diver and received her lifeguard certificate, a swimming award with gold "L," and a ribbon for an organized unit trip, and was meritoriously promoted to Gunnery Sergeant. We are proud of our daughter and her accomplishments and are thankful for the staff that assisted her in meeting her goals. "Proud Parents of a Tustin Young Marine"
This year I had the opportunity to attend SCUBA School in Hollywood Beach , Florida . This school was a great learning experience for me and the other Young Marines who attended. It was very mentally and physically challenging. We began each day at 0530 with an exhausting PT session that included beach runs and ocean swims. The rest of the day we had hours of classroom instruction and hours of time spent in the water continually learning new skills. Not only did we learn to SCUBA dive, we also learned water survival and lifesaving techniques. We were wet most of the time! We did a number of dives, four that were out in the Atlantic Ocean off the back of a boat. These dives included sightings of two shipwrecks, nurse sharks, some very large barracuda, and a completely new underwater world that I had only seen on TV. We also had the opportunity to do a night dive. We entered the water at dusk and came out in the moonlight. It was amazing! We would just walk into the ocean right off the beach for most of the dives. Our instructor, Worth O’Brien, pushed us to the breaking point on a daily basis, continually challenging our physical and mental limits. I feel that it was a great opportunity for me to learn how to do something I had never done before and something that most people will never learn to do. I also increased my vocabulary with words like “SCUBA DOOBA” and “DO-BA-DO”! We started out as Tadpoles and then we graduated to full-fledged “Gangsta” Frogs! Although it was hard, I would recommend this school to any Young Marine looking to be challenged. I also hope that the Young Marine Program will have another SCUBA School next year and try to have an Advanced SCUBA School as well. In the future I hope they use the same instructors as this year. Mr. Snow was a very fun and cool person to be with. Ms. Kavanagh was always there to make sure we all had what we needed, sneaking us cookies and making us laugh. Instructor O’Brien was the best teacher I have ever had! 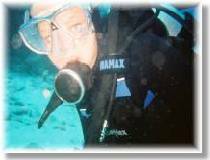 He was a very interesting individual and extremely knowledgeable in SCUBA. It was one of the best times I have ever had in my life to date!